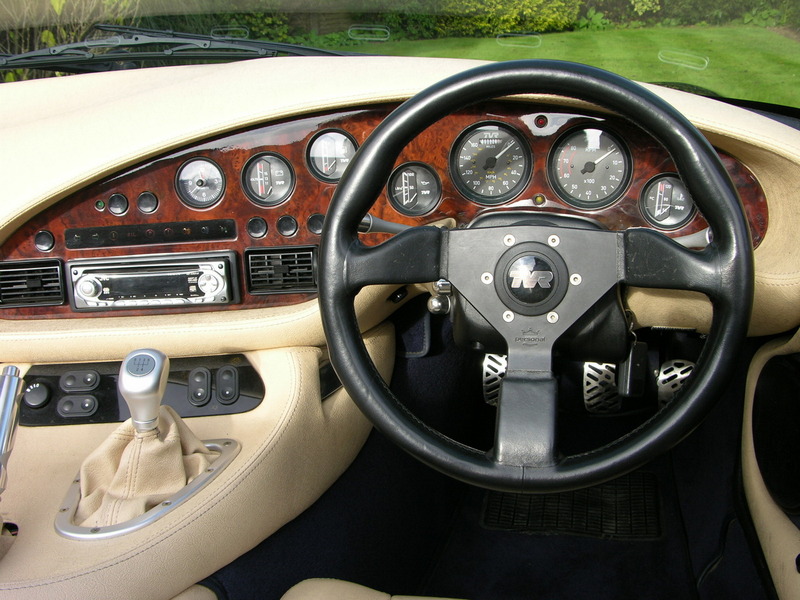 Approaching the 90s, the wedge-shaped TVRs of the eighties were nearing the limits of their development and a new direction was needed to be found. Two product lines in this period: the wedge-shaped Tasmin-based cars and the newer, but retro-styled TVR S models. But the wedge shaped cars were starting to date badly, and the more rounded ‘S’ models were starting to outsell them. 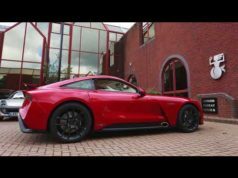 TVR unveiled the TVR Griffith 4.0 at the 1990 British Motor Show in Birmingham, with a 4-litre version of Rover’s V8 engine installed on a strengthened TVR SV8 chassis. 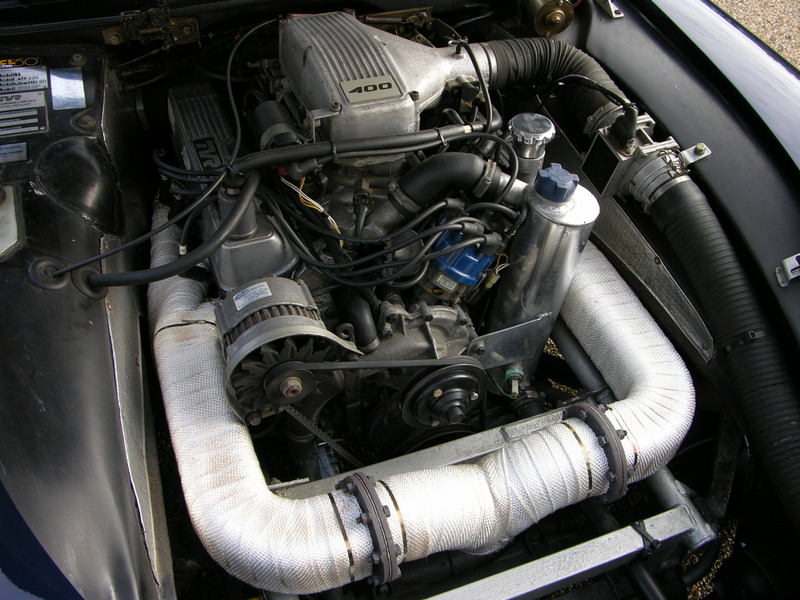 The 3.938 cc engine gave 240 hp and 270lb ft; 0-60 mph in 4.8 seconds and 155 mph of max speed (1.060 kilos). 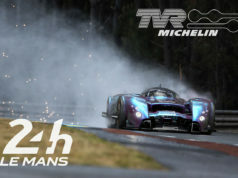 Public reaction was incredible: over 300 orders were placed for the new car short after its introduction. 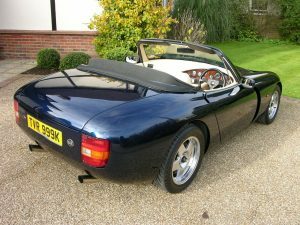 But there was a problem: the ‘S’ chassis was able to handle around 270 bhp so TVR had to go back to the drawing board and use a shortened chassis from the TVR Tuscan V8 race version. 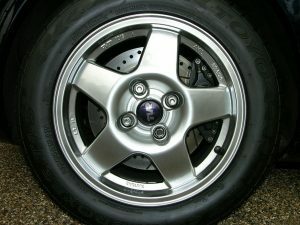 Now with the basic and solid foundation of the car some styling modifications were made and the first cars were delivered in early 1992. Demand for the Griffith was so strong that over 70% of the Blackpool factory’s production capacity was instantly devoted to Griffith construction. 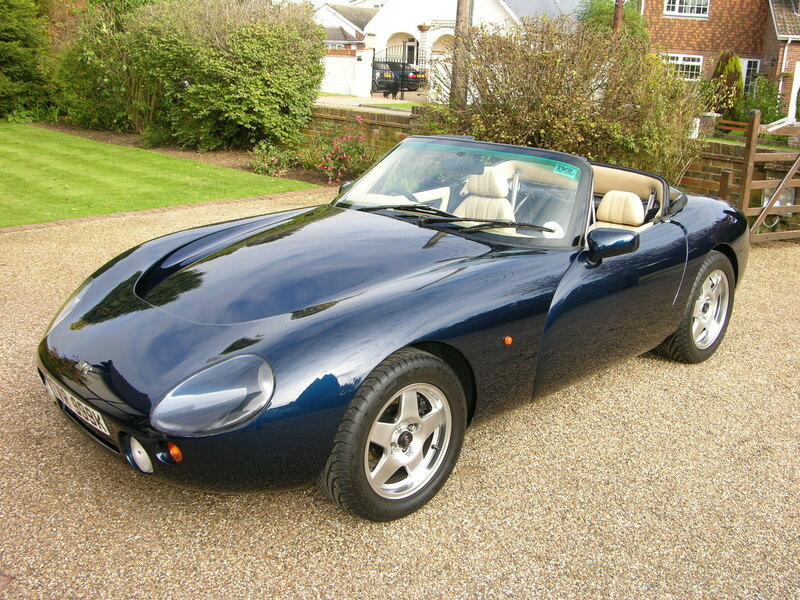 This was mainly because the TVR Griffith 4.0 was over £2,500 cheaper than the outgoing TVR 400SE wedge. This eventually sounded the death knell for the older car. 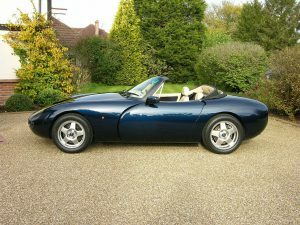 For about the price of a 400SE, customers could order the TVR Griffith 4.3: it used the same Rover V8 engine but now with a bored and tuned version (4.280 cc) which developed 280bhp (0-60 mph in 4″7, max speed 161 mph). Thanks to its qualities, over 70% of Griffith customers opted for the larger engined car but several 4.0’s owner chose to upgrade from 4 to 4.3 litres. 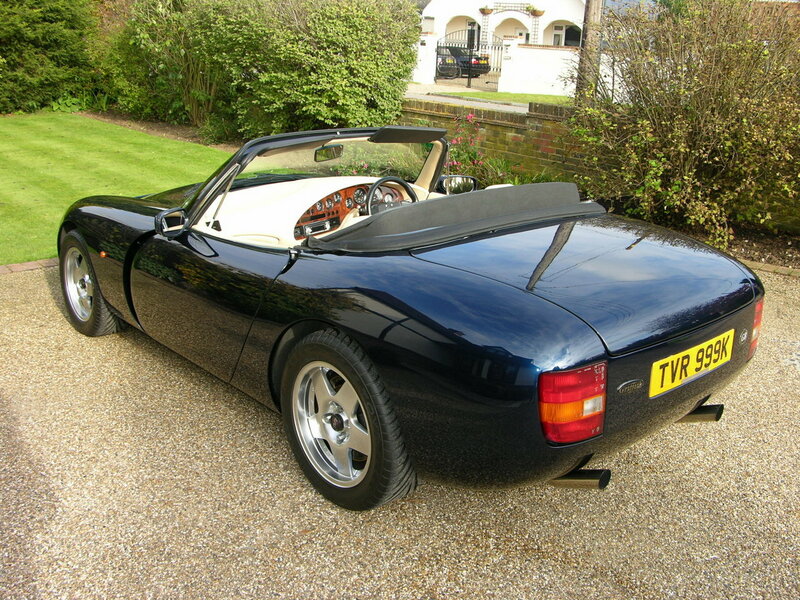 For those who didn’t resist, there’s also the TVR Griffith 4.5. 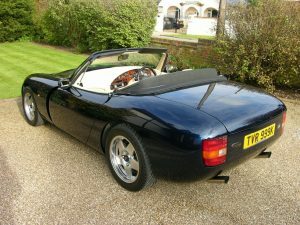 There were only about 10 – 12 originally built, although some were converted after delivery. 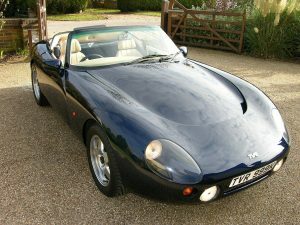 Production of TVR Griffith was temporarily suspended in November 1992 to allow the factory to clear the foreign orders backlog and ramp up production of the new TVR Chimaera model line. The 4.0 and 4.3-litre cars were axed in 1993, leaving the Griffith 500 (which was introduced in 1993) the sole model carrying the flag. With the arrival of the TVR Tuscan Speed-6 in 1999, the Griffith’s days look numbered. 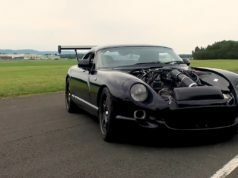 In 1994 the five-speed gearbox changed from the Rover SD1 to the near Bullet proof Borg Warner T5 and in 1996 TVR announced that the TVR Griffith Speed-6 would have TVR’s own AJPS straight six, kicking out an estimated 380 bhp. But eventually it did not enter production.